SS Rajamouli quashed all rumours of Prabhas being a part of his next. 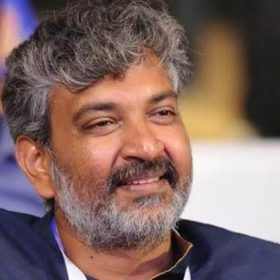 In 2015, maverick filmmaker SS Rajamouli gave strong proof of his abilities as a storyteller when his ‘Baahubali’ opened to a thunderous response at the box office while receiving rave reviews along the way. The film was an epic-drama and revolved around the rivalry between two brothers over an ancient kingdom. In it, Prabhas played the the titular role while Rana Daggubati essayed the antagonist. Nearly two years post its release, ‘Baahubali 2’ arrived in theatres and redefined the very tenets of Indian cinema. A runaway hit at the box office and earned the thumbs up from fans as well as those in the industry. Praising the film, actor Shahid Kapoor had said that the Baahubali saga was a blessing for the entire fraternity. “The possibilities are endless and limitless. there is no limit of creativity. Whether it’s us (Deepika & Priyanka) as Indian representing India globally or whether Baahubali, which we understand a regional film that breaking barriers and crossing boundaries from their region and that become such a huge success. That’s exactly what it is. The possibility is endless,” she had said. Now, with the ‘Baahubali’ saga in the rearview mirror, SS Rajamouli is taking things easy. However, he will soon begin work on a film with Ram Charan and Jr NTR. The film is rumoured to be a sports-drama and will have a strong family theme. Interestingly, there was some speculation about Prabhas being a part of his latest directorial venture as well. During a chat with a website, SSR quashed all such rumours and said that T-town’s ‘Darling’ is not a part of his next. He jokingly added that the two gave 5 years of their lives to ‘Baahubali’ and now need a ‘break’ from each other. “No, no! Prabhas and I have been together for five years. We need a break from each other. Prabhas is busy with his other commitments and I’ve my own commitments. We will of course work together again in the future,” he added. “There’s no anxiety to get back to filmmaking as I know it’s something that I can start as soon as I am ready to get back to work. Right now, I am enjoying the process of having a normal life, spending time with my wife and daughter, catching up with friends and relatives whom I haven’t met for years,” he added. Well, we wish SS Rajasmouli good luck and hope that his upcoming films too do well at the box office. On a related note, Prabhas is currently shooting for ‘Saaho’. The film is an action-thriller and has been directed by Sujeeth. In it, he will be seen Alongside Shraddha Kapoor and Bollywood star Neil Nitin Mukesh. Sometime ago, the ‘Kaththi’ star had said that he will be playing a ‘mega villain’ in the film. So, are you excited about ‘Saaho’ and SSR’s upcoming film? Tell us in the space below. How long are you going to be satelliting around Prabhas. For his luck he got already a once in life time opportunity?